Vladimir Putin isn’t concerned that U. President Donald Trump hasn’t called to congratulate him on his record victory in Russia’s presidential elections, the Kremlin said. “We should not consider this an unfriendly step” and Putin remains open to normalization of relations with the U.
where it’s in Russian interests, Kremlin spokesman Dmitry Peskov told reporters on a conference call Tuesday. “There’s no need to exaggerate anything. ” Hinting that there’s still time for a telegram or call from the White House, Peskov added: “Tomorrow’s another day. 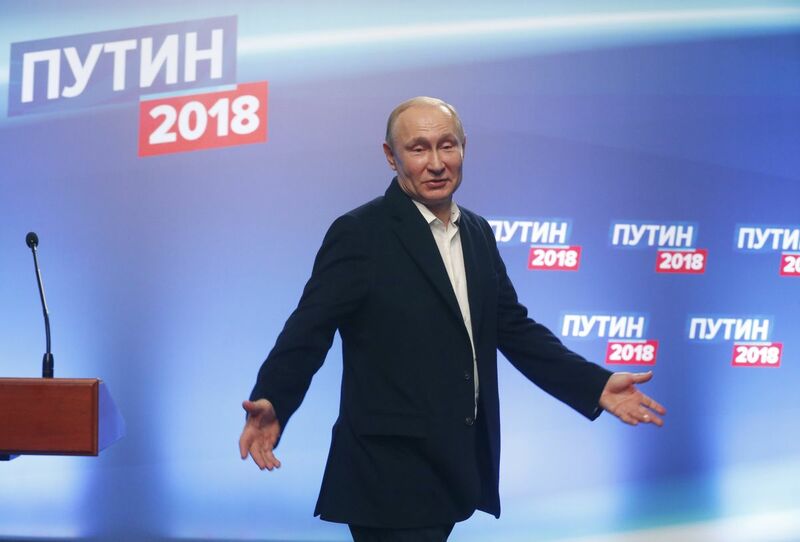 ” Many foreign leaders have already congratulated Putin since he won 77 percent of the vote in Sunday’s election, while others couldn’t call because they were too busy “or for other reasons,” he said. The White House said Monday that Putin’s re-election to a fourth term was unsurprising and that there were no plans for Trump to make a congratulatory call. There’s been a mixed response from other world leaders. criticized the conduct of the election amid rising tensions after it blamed a nerve-agent attack on Russia, which denies involvement. While German Chancellor Angela Merkel did offer congratulations, French President Emmanuel Macron pointedly wished success “to Russia and the Russian people” in a phone call with Putin, according to a statement from the Elysee Palace. Putin received congratulations from Chinese President Xi Jinping, Turkish leader Recep Tayyip Erdogan, Indian Prime Minister Narendra Modi, Japanese Premier Shinzo Abe and the leaders of most former Soviet republics, according to the Kremlin’s website.